According to the Focus magazine, the Department of Cardiology, Pulmonology and Angiology at the University Hospital Duesseldorf ranks among the top German departments specializing in cardiovascular diseases! It provides an accurate diagnostics and effective treatment of all diseases of the cardiovascular system, lungs, and respiratory tract. The highly qualified world-class specialists work with patients. Various functional and imaging examination techniques are available for the accurate diagnostics. Also, the department has state-of-the-art Cardiac Catheterization Laboratory. The department is headed by Prof. Dr. med. Malte Kelm. The department provides translational and experimental researches in order to develop new methods of diagnostics and treatment of cardiac pathology, which are introduced into the clinical practice. For example, in the treatment of сoronary artery disease, the very latest treatments of stable and unstable angina are used. For the treatment of acute coronary syndrome, the doctors have all modern methods of cardioprotection, various methods of maintaining cardiac function in cardiogenic shock, as well as intensive care measures. Prof. Dr. med. Malte Kelm completed his study of medicine in 1985. In the same year he defended his doctoral thesis and received the admission to medical practice. In 1986, he also passed the ECFMG examination on preclinical and clinical disciplines. In 1995, he received a title of the Medical Specialist in Internal Medicine. In addition, from 1996 to 1999 he received specialization in Cardiology, Angiology, Internal Intensive Care. In 1996, Prof. Kelm defended his doctoral thesis on the subject: "The Effects of Nitric Oxide on the Cardiovascular System and Its Importance in Arterial Hypertension". In 1998, Prof. Kelm accepted an invitation to the position of C3 Professor in Internal Medicine at the University of Duesseldorf. In 1998, Prof. Kelm accepted an invitation to the position of C3 Professor in Internal Medicine at the Heinrich Heine University Duesseldorf, and in 2005 he moved to the Department of Internal Medicine / Cardiology (W3 Professor) at the University Hospital Aachen. 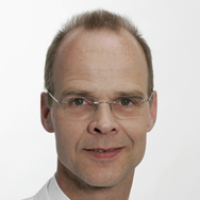 Since 2009, the Professor heads the Department of Cardiology, Pulmonology and Angiology at the University Hospital Duesseldorf. The main focuses of his clinical activities include the treatment of acute myocardial infarction, interventional catheter techniques, as well as the combined imaging methods in cardiology, which he plans to improve in the future. Prof. Kelm has a large number of scientific awards. His research focuses on the study of cardiovascular dysfunction in coronary artery disease, arterial hypotension, and diabetes mellitus, as well as the clinical and molecular aspects of ischemia / reperfusion. Department of Cardiology, Pulmonology and Angiology.